As a part of my normal grocery shopping routine this past week, I hit up my local Wal-Mart that happens to be pretty new in my neighborhood. We’re so excited – and they’re open 24/7 – What! That’s insane. I’m not kidding; the week they opened Mark and I had insomnia on a Saturday morning about 3 am and went to get all the stuff to make a giant pancake breakfast. I think we momentarily lost our minds. So, last week while shopping there I used a coupon from Coupons.com for $0.75 off two frozen Tony’s Pizzas. 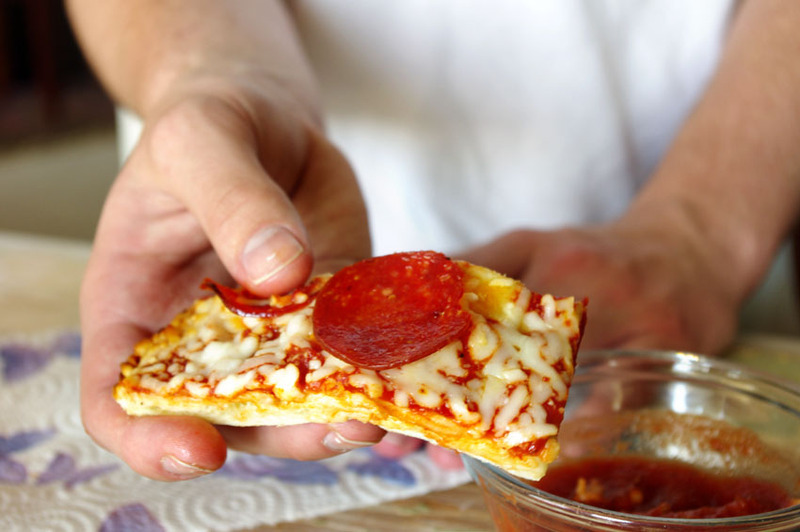 I’ll be honest with you – I don’t normally buy frozen pizza; I make my own. That being said, as a busy mother with two teens (and a hungry husband), there definitely are times when I need something convenient to throw together when everybody’s in a hurry and they want something a little more substantial than a PB&J. 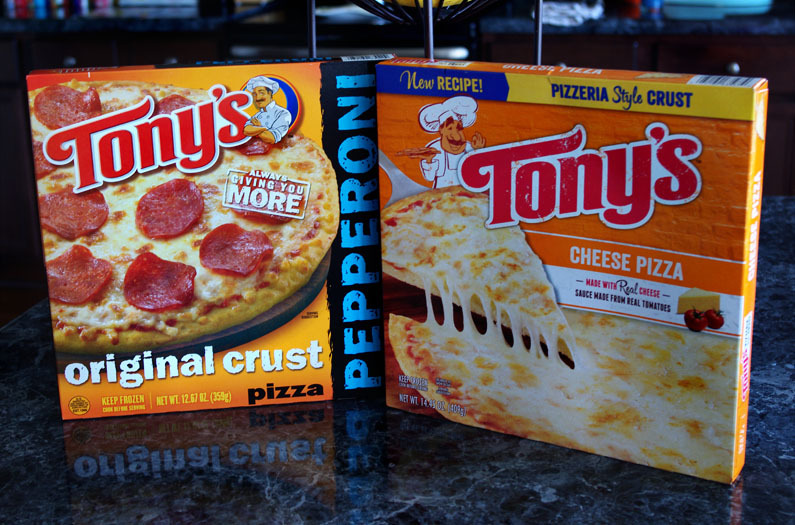 I made two Tony’s Pizza’s – one cheese and one pepperoni. 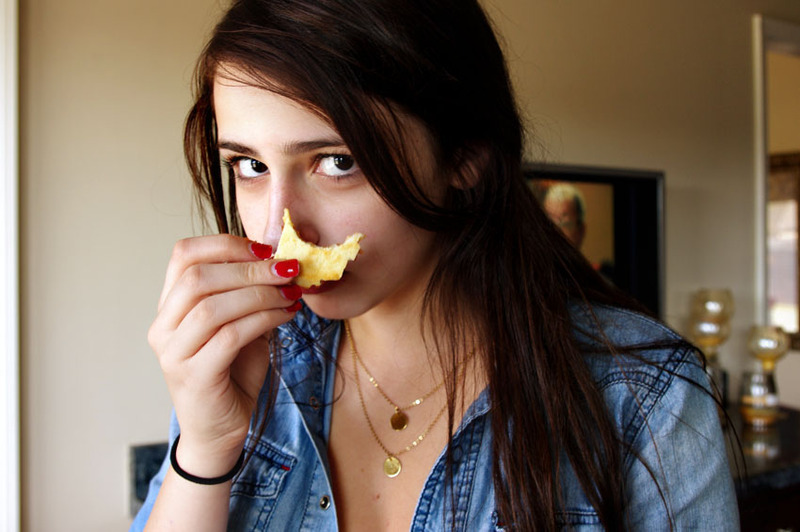 My daughter is the cheese lover and my son loves pepperoni. 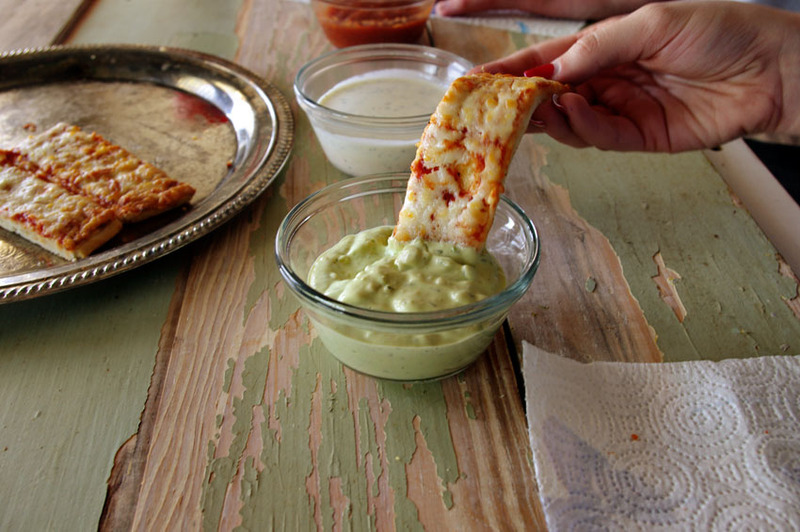 Also, just for fun I cut them into strips (like breadsticks) and made three different dipping sauces. 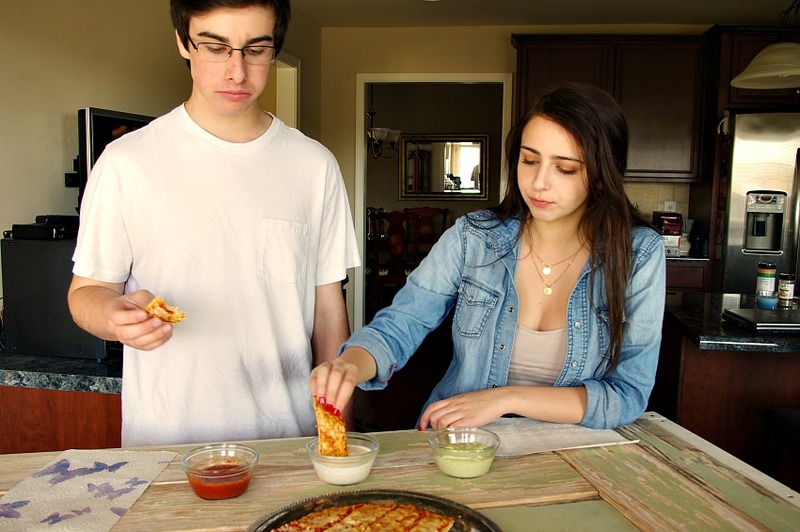 Katelyn ended up loving the jalapeno-avocado dip. 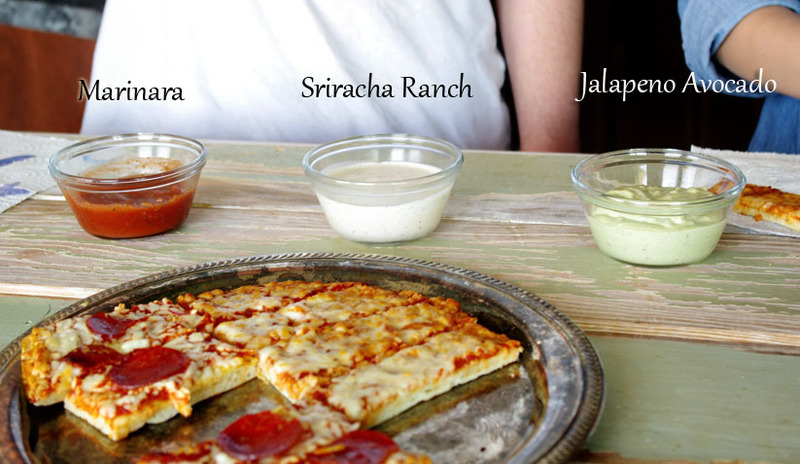 It’s such a different taste – I really liked it, but I think the Sriracha Ranch was my favorite. Brantley’s not so much of a dip man. I tried to get some smiles out of these two, but they were waaayyyy too into the pizza. This was really good frozen pizza as far as quality and taste. Between the three of us we put away two of them. Cook Tony's Pizzas according to package directions. Whisk ingredients together in a small bowl; cover and refrigerate. Whisk Ranch and Sriracha together; cover and refrigerate. Whisk Ranch, avocado and jalapeno together, cover and refrigerate. 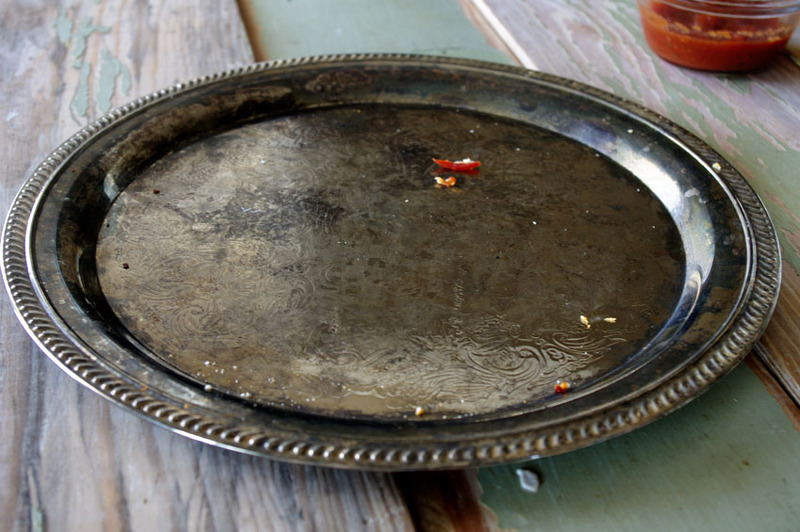 Serve all sauces with pizzas once done. 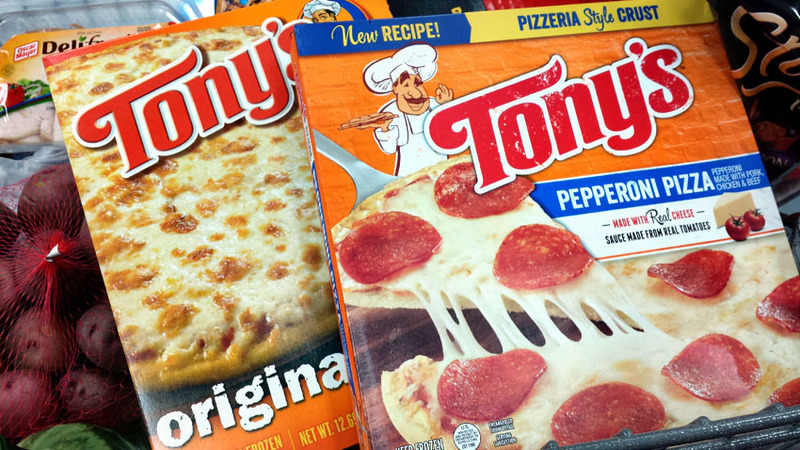 There’s a coupon available right now for $0.75 off the purchase of two Tony’s Pizzas, click here to print (while supplies last). Click here to follow Tony’s Pizza on Twitter and here to follow on Facebook. appetizer recipes, cheese, dip recipes, frozen pizza, italian recipes, pepperoni, pizza, pizza dips, Tony's. Bookmark.